If your looking to rent a rolloff in Brighton, don’t accept slow responding companies or late deliveries. For over 10 year’s we’ve delivered our dumpsters on-time, when and where our customers need them. Denver Dumpster Rental Pros specializes in providing dumpster rental services that meet your project goals. 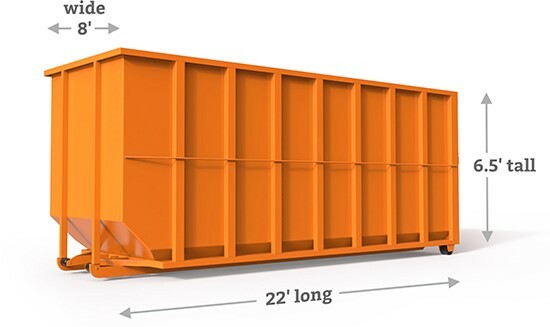 Dumpster size options are many, so when making a search on roll off dumpster in Brighton Colorado, do not be surprised to find different container sizes suitable for residential or commercial purposes. Don’t worry if this is your first time to rent a roll-off container; we will be there to guide you every step of the way. When it comes to dumpster rental size, you cannot afford to go wrong, and that is why we always encourage getting expert advice from a company with guaranteed expertise in the business. We will also consider the passageway leading to your driveway or lawn. If the space is cramped, we would be forced to recommend a smaller-sized dumpster. Calling 303-327-9961 means getting to expert advice from seasoned waste haulers in the city. 10 Cubic Yard: If you do not expect your trash to exceed 10 cubic yards’such as if you are just going to clean out your garage, basement, or any other small room in your house’you will not go wrong with this size. You can also use it to discard carpet or roofing insulation that measures not more than 3,500 sq.ft. 15 Cubic Yard Dumpster: The dimension is not that much different from the 10 cubic yard. It is suitable for any project that is going to yield up to four and half pickup truck loads of junk. 20 Cubic Yard Roll Off Dumpster: This is perfect for multiple room renovations in medium-sized homes or a full renovation for a smaller home. It can hold up to 475 sq.ft. of materials like furniture, trash, paper and old clothes. When you tear your whole carpet, the ample room can accommodate the worn material. 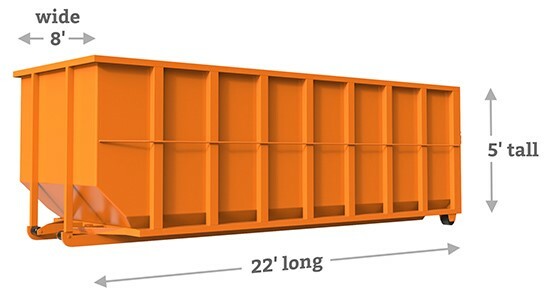 30 Cubic Yard Dumpster: This size is large enough for an office cleanout or renovation project. It is also a good size for a major house renovation, such as when you need to overhaul practically everything and start with all things new. In case you need to remodel more than two rooms, you may also rent out this type of bin. 40 Cubic Yard Roll Off Dumpster: Commercial construction projects typically rent this type of dumpster because of its space and the load capacity. With its expansive size, it can accommodate materials like drywall, lumber and concrete. This is also great for a demolition project or commercial roof jobs or removal of massive amounts of trash. 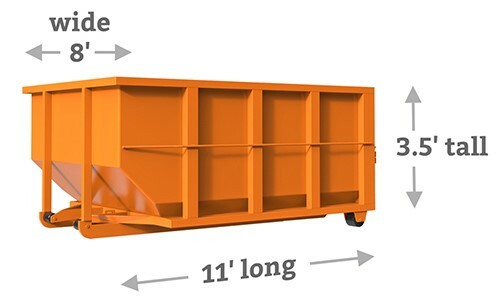 We calculate the cost of dumpster on several elements. This is why we insist that potential customers will call us first. Do You Need a Dumpster Permit in Brighton? The best thing is that you are not obligated to hire our services even if we answer some of your questions or give you a quotation of our rental dumpsters. Denver Dumpster Rental Pros is always glad to hear from you and discuss all your dumpster problems. You only have to tell us a bit more about your project, especially the extent and type of project you are going to undertake, for us to recommend the right dumpster rental for your needs. Whatever concerns you have about a dumpster for rent, we encourage you to voice them out. As you can see, we can’t really give an approximate cost of renting a dumpster. The best way is to dial our number at 303-327-9961 and talk to our team of experts. We have proven expertise in delivering professional roll off dumpsters in Denver, and we can assure you that we will provide you with an honest and accurate quote. A lot of them are repeat customers who have experienced for themselves the kind of superior service they deserve. We stick to the budget we provide. You will never have to worry about hidden fees at our company. Call us and let us discuss your needs first, then we will give you a fixed rate price quote.